Practical and delightful. 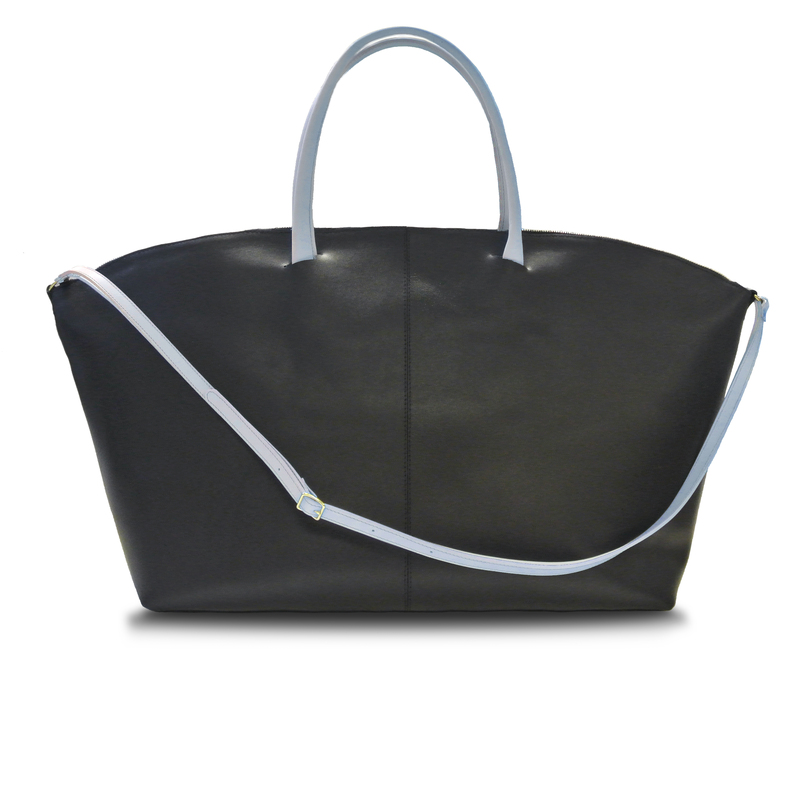 Weekend bag or gym bag. Black and baby blue leather.